If AC/DC were twenty years younger, female and located in Sweden, they’d be THUNDERMOTHER, period! Of course it’s not all that simple doing a review on the impatiently awaited full-length debut of the fierce five-piece. 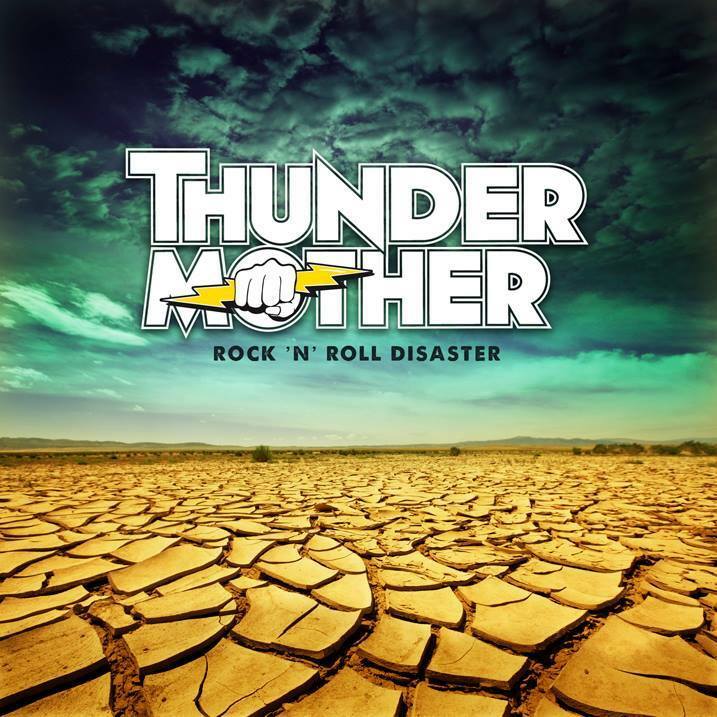 After an intense line-up chance, leaving only the axegrinding founders, THUNDERMOTHER are “back” (odd to say this about a band, that is just getting really started right now) with a blast! The ten tracks on their freshman attempt with the witty title “Rock’n’Roll Disaster” turn out to be everything BUT a disaster: Catchy choruses, classic and flawless riffage, a grooving rhythm section with new members Tilda Stenqvist on drums, Linda Ström on bass and above all the outstanding rocking voice of Irish vocalist Clare Cunningham. The lyrics bounce between heartache, true-to-life experience and whatever you see and live through as a musician – just like any other band. The title track ‘Rock’n’Roll Disaster’ and ‘Shoot To Kill’ have already been recorded and released with the previous line-up and now give this new record a sort of familiar feeling to it. Not to mention that every single song is a hymn for itself and with an average duration of about three minutes, you won’t even know what hit you! All songs are composed or at least co-written by guitarist Filippa Nässil, who also made her way producing “Rock’n’Roll Disaster”, furthermore the artwork has been handled by second guitarist and co-founder Giorgia Carteri. That’s taking care of business for you. THUNDERMOTHER are not just another All-female Rockband, but the next mark on the international music landscape. Leeds-based Sabbathian apprentices BLACK MOTH take off with their 2012 debut “The Killing Jar”, manecing like a lepidoptera swarm across the blackened sky…with their unique blend of doomy riffage, Fuzz-ridden tunes and softly Grunge-inflicted melancholy, the band compiles what they refer to as Mothic Horror. 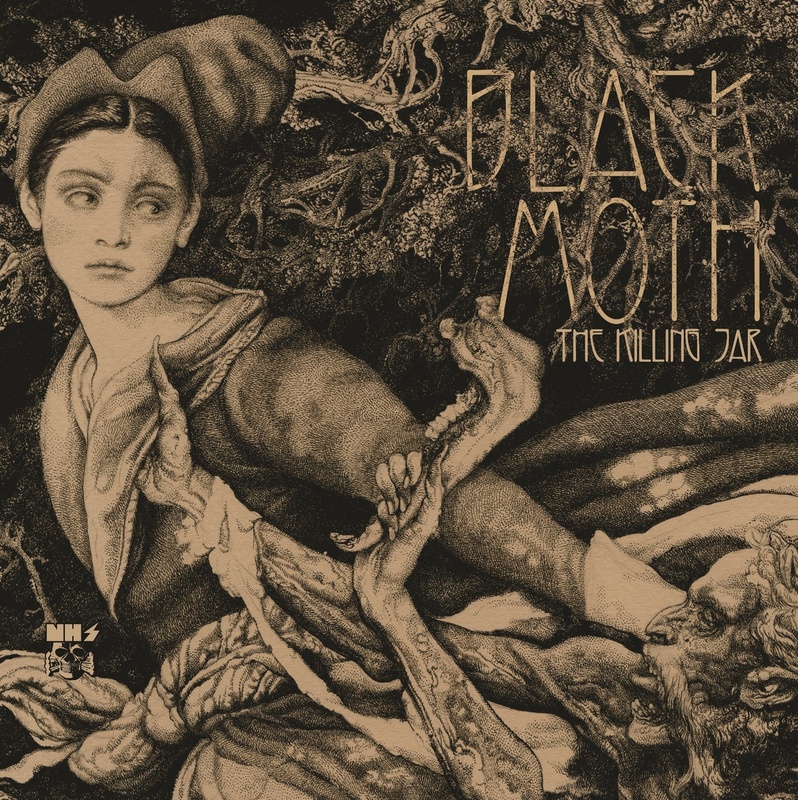 Starting as a foursome, BLACK MOTH sees the beginning of an easy underground escape, within two years of this unholy gathering. Sit back, relax or better yet: Go NUTTS upon the ten tracks, offering a most grooving rhythm section and hypnotic string-arrangements that built the foundation on which the sirens’ calls of one Harriet Bevan will take you by storm. Bouncing between a soulful warmth and Riot Grrrl-ish screams, this frontlady got more balls than many of her male companions – fellow guitarist Jim Swainston, bassist Dave Vachon and sticksman Dom McCready NOT included. BLACK MOTH clearly got a full package to offer, lyrics and designs referring to their band name, verging on the state of making fun of their own image. In their current incarnation, with second axegrinder Nico Carew, the quintette is ready to spawn it’s yet untitled sophomore attempt. Their second-born mindchild is also produced by Nick Cave, Jim Sclavunos and recorded by legendary Leeds engineer Andy Hawkins. Just fairly off track from their spontaneous on-road support for country mates UNCLE ACID AND THE DEADBEATS, BLACK MOTH will be playing throughout the UK in April and May – It’s time to spit out your teeth and give yourself to the Mothpit! “Blood Moon Rise”, the second full-length album of JEX THOTH creates an entire realm, which inherits the spirit of BLACK SABBATH, AMON DÜÜL II, PINK FLOYD, HEART and BLUE ÖYSTER CULT. 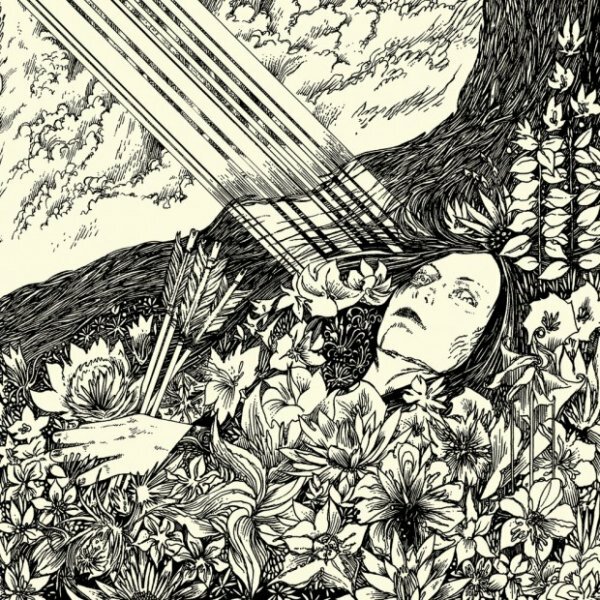 The visionary yet timeless song craft combines catchy doom ballads with a flowing tapestry of jinxed, psychedelic Rock. Blurry sightings let past and future merge into each other, breaking the barriers of time and space. Between shamanic tales and clairvoyance, produced by Randall Dunn (EARTH, SUNN O))), BLACK MOUNTAIN), JEX THOTH – featuring Danny Gonzalez (Bass), Matt Jacobs (Guitar), Brandon Newhouse (Guitar) and Nick Johnson (Drums) – spawn a piece of addictive, timeless art. Released via I Hate on June 16th, 2013. Less than a year after their split release with PAGAN ALTAR on October 31st, 2007 JEX THOTH – featuring Zodiac (Organ, Synthesizer, Piano), Johnny Dee (Drums), Grim Jim (Bass, Guitars) and Silas Paine (Guitars, Bouzouki, Flute) – put out a self titled debut album. The band that formerly called itself TOTEM has made a reputation as a hard-working live act and adds to this success with this first full-length publication. 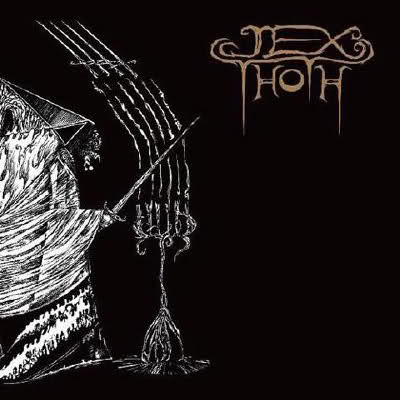 Opening “Jex Thoth” is the hymn “Nothing Left To Die” that proves the bands’ talent for a catchy chorus. Within the course of the record a spherical depths opens up, giving way for the enchanting vocals of singer and eponym Jessica Thoth. The intense and forwarded “Seperated At Birth” with its dominating riff, is an invitation to all headbangers. The following “Equinox Suit” is divided into four parts that perfectly merge into one another. The closing track “Stone Evil” has already been released on the split and is clearly known to all real fans. An overall sophisticated piece of art, yet not too well suitable for old school metalheads. Furthermore “Jex Thoth” has its lengths and epic qualities. Those who had no chance so for to be convinced by JEX THOTH’S live performances ought to catch them as soon as possible – and might purchase a record as well. Not your mere party animal, but for the ideal soundtrack clear and golden autumn days. True occult rockers will love the vinyl gatefold version. 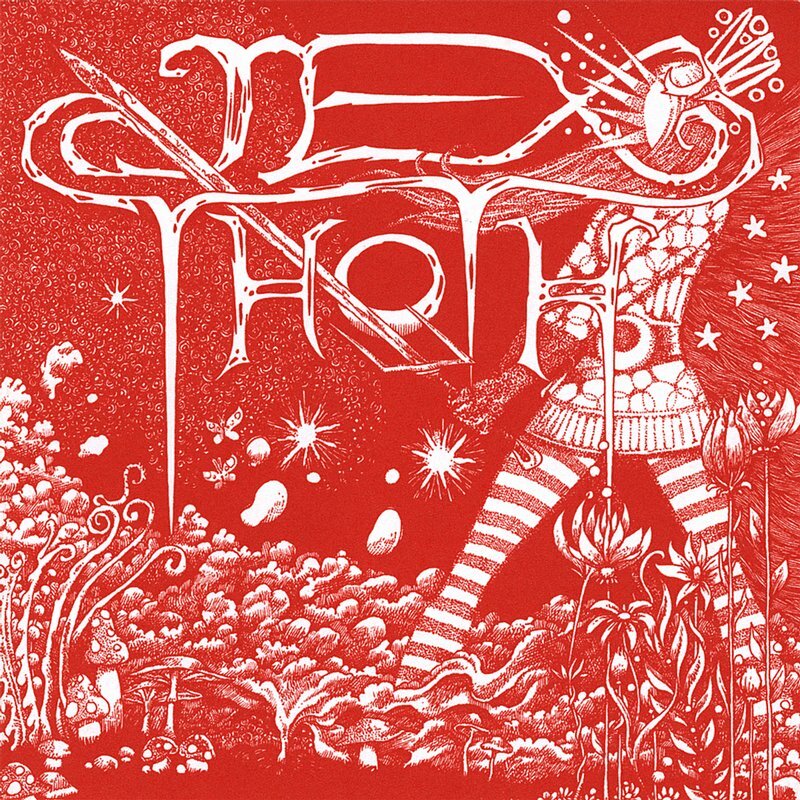 “Jex Thoth” is released via I HATE on February 29th 2008. With their 3-Track EP “Witness” JEX THOTH – featuring Shane Verwey (Bass), Nick Johnson (Drums), Nico Kain (Guitar) and Clay Ruby (Organ, Synt – are able to prove, that despite constant touring they still find enough time to compose great music. Might be a little too much echo put on Jessica’s already hypnotic voice here, but this would have to be the only cutback to be found on “Witness”. The first two songs “Raven Nor The Spirit” and “Slow Rewind” merge into each other as one and thus earn a strong unity. Also the Slapp Happy cover of “Mr. Rainbow” featuring dominant vocals and Hammond organ blends in perfectly. For all die-hard-fans of JEX THOTH an absolute must-have – those who fell for the charms of this band with its read-headed siren, are sure to be proud owners of the EP that was released via I HATE on April 11th 2010. All new or soon-to-be addicts shall be warned: You will get hooked on this! 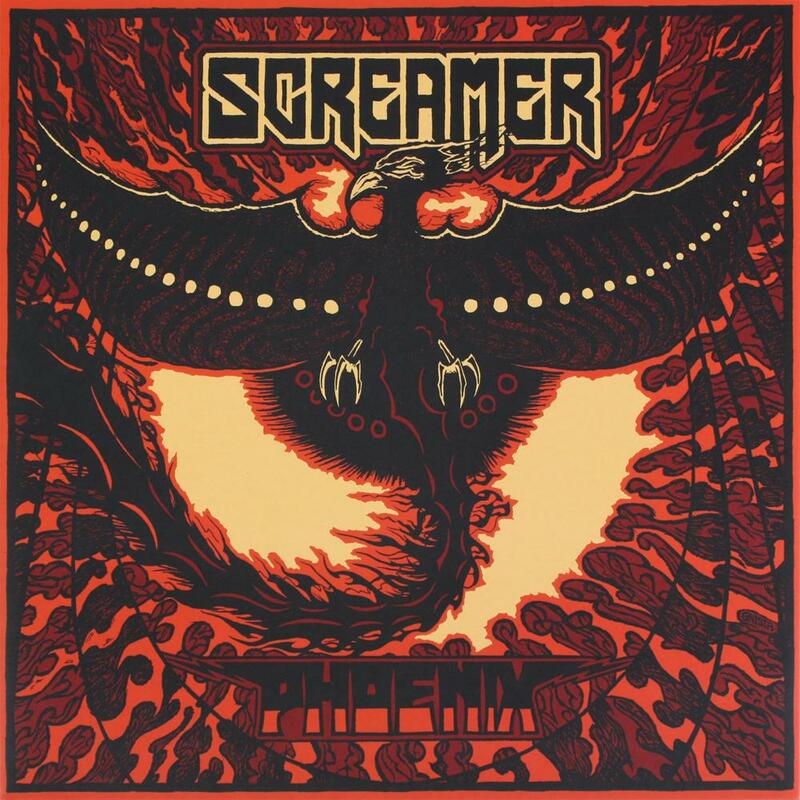 Having a reputation to be one of the hardest touring (demo-) bands in Sweden, SCREAMER are not far from having the same things going on within the recording sector. The debut of the four musicians from Ljungby and Malmö called “Adrenaline Distractions” was delivered on the memorable date of November 11th, 2011 via german label High Roller Records. Hardly two years later the new records “Phoenix” is out for about a month now. With more than 100 shows played in both Sweden and the rest of Europe, including their first headliner tour in 2012, one might wonder if SCREAMER are able to maintain the quality standard set on their first album, or if all this touring like crazy could result in weaker songwriting – but the nine tracks on “Phoenix” couldn’t be any further from all this. The title track “Phoenix” speeds things up again and concerning the lyrics makes a possible connection to the experience the band is dealing with in the previous one. After a short and truly powerful resurrection, the final part of the album takes a bit of a slower but no less forceful turn with the introduction of one “Mr. Noman”, whereas the “Red Moon Rising” offers a final glimpse of fast shredding. Concluding their second full-length album, SCREAMER tell the story of the “Lady Of The River” in a seven and a half-minute cascade. The epic quality for sure won’t decelerate the power of its predecessor, leaving enough room for headbanging one last time. Drums recorded by Dennis Åhman at Shimmer Productions. Guitars, bass, vocals and percussions recorded by Carl Johan Erlandsson, David Persson Hansen and Tomas Salonen at Racetrack Studio. Mixed by Fred Estby at Gutterview Recorders. Mastered by Andy Jackson at Tube Mastering. Produced by SCREAMER. 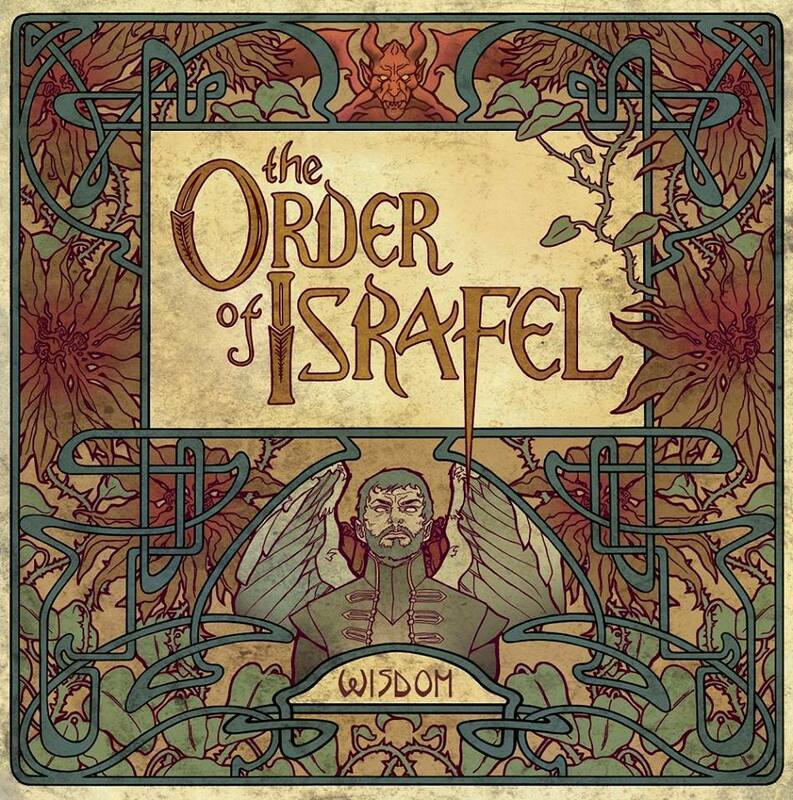 Released on february 8th 2013 via Highroller Records. Tomorrow marks the first month since the self titled debut of Jess and the Ancient Ones was delivered to us all through Svart Records. The seven-piece force is sure to prove that Vinum Sabbatum won’t be the only finnish band to do something far from Melodic Death Metal, the country has become much famous for. The concept clearly isn’t knew, with three guitars featured in Dutch masters of ceremonies The Devil’s Blood along side female vocals. Bot no one is obliged to reinvent the wheel to create a good song, like JATAO are obviously capable to do. Ever since Thomas Corpse – Lead guitar – and Thomas Fiend – Lead guitar & backing vocals – called this entity to life in early 2012 they explored the vast realms of Rock and Heavy Metal from the 70s and 80s and covered it with their own magical note. As the two Lead guitarists and founding members team up with vocalist Jess, Rhythm guitarist Von Stroh, Bassist Fast Jake, Keyboarder Abraham and Drummer/Percussionist Yussuf they create a cryptic and powerful atmosphere. Most of all, unlike many other fellow bands they play a straight and yet upbeat tune. They won’t fiddle around much for minutes but go right for it, thus making even tracks with over ten minutes duration greatly diverting. Jess’s voice strongly relates to the other instruments and ranges somewhere between clear and itchy, sanity and complete madness or just driven by emotions. Blood Ceremony with whom JATAO already shares stages with, Jex Thoth, The Devil’s Blood, Purson, Vinum Sabbatum and I could go on for quite a while but I rather you just listen to it yourself. The debut album is available on Vinyl as a six-track version and CD, with “13th Breath of the Zodiac” as a bonus track via Svart Records. My personal favourite is “Sulfur Giants (Red King)”.